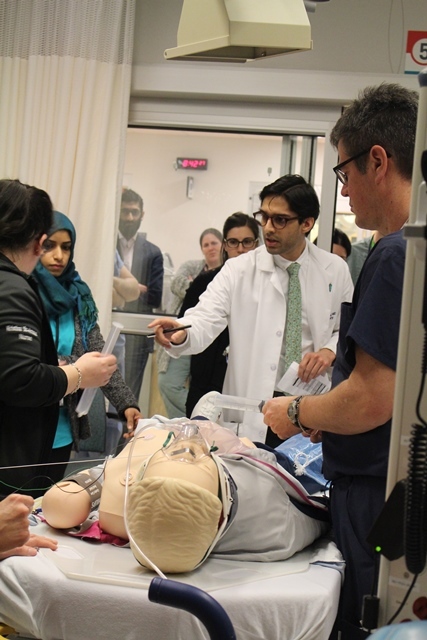 Last month, over 50 healthcare professionals from the Montreal Children’s Hospital (MCH) were involved in a pediatric emergency medicine simulation involving a “10/10”, the most severe state of trauma seen in the Emergency Department (ED). 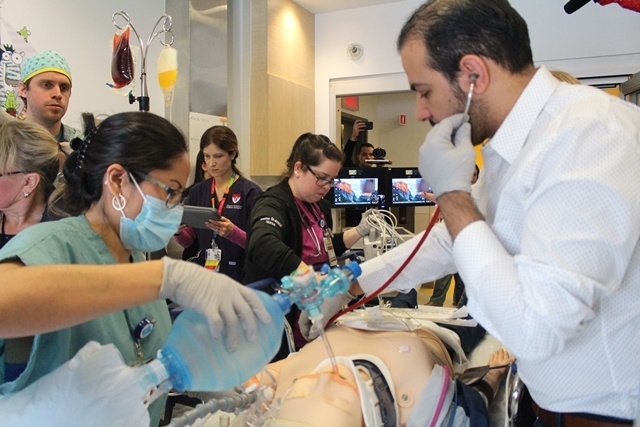 Of the 50 professionals, about 20 participated in the simulation while 30 others watched via live video stream from the Research Institute Auditorium. 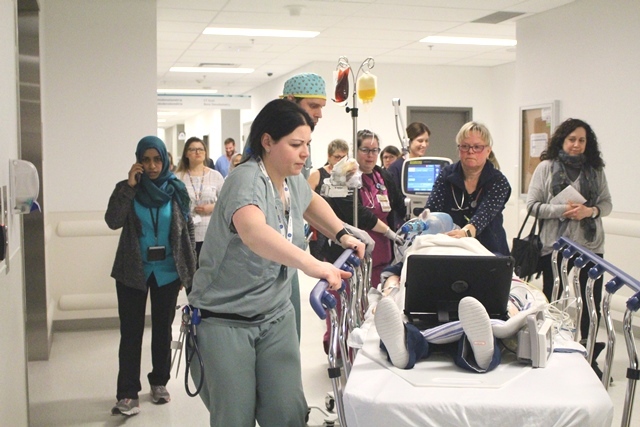 The exercise was developed and organized by a team under the direction of Dr. Ilana Bank, Pediatric Emergency Medicine specialist and Director of the MCH Simulation Program. The team practiced on a mannequin, referred to as “the patient”, which represented a 14-year-old boy who was brought to the ED after a scooter accident. 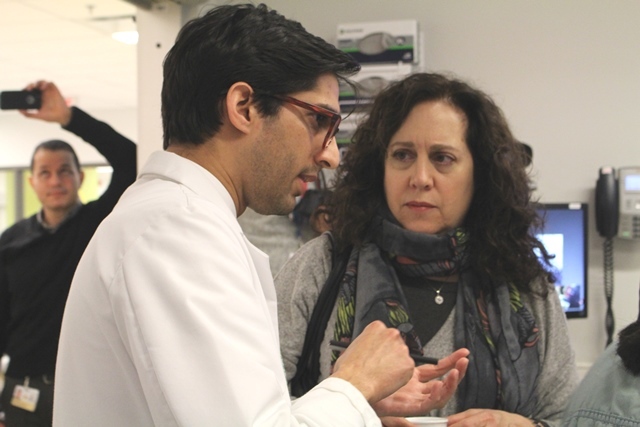 An actress was brought on board to play the role of the patient’s mother, and ALSi technology was used to display the patient’s vital signs. Although there was no actual danger, everyone involved treated the simulation very seriously and carried out their roles as if the situation were real. As soon as the simulation began, the energy in the room rose, the machines beeped, and everyone got to work with intense focus. 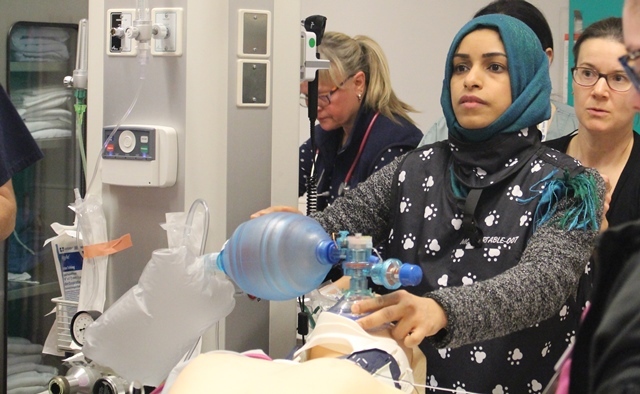 The group was subdivided into pairs of specialists taking on specific roles and sharing tasks: one respiratory therapist assisted with ventilation while another prepared the intubation equipment; two ED nurses carefully recorded and prepared each medication that was requested, while another nurse helped manage the patient at the bedside. There was a constant hum of activity and communication within groups and among the larger group. Trauma Team Leader (TTL) Dr. Hussein Wissanji, pediatric surgery fellow, managed the group like a conductor leads an orchestra: he commanded moments of quiet and gestured to people for the information he needed to make on-the-spot decisions about the patient’s care, announcing the next steps, and maintaining frequent communication with the patient’s mother. 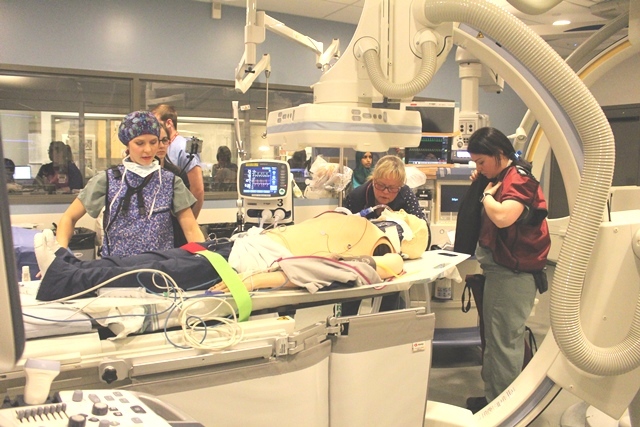 The simulation started in a crash room—also known as a red room—in the ED, where the most severe cases are treated. The team included two emergency room physicians, three ED nurses, two respiratory therapists, one radiation technologist, one interventional radiologist, two anesthesiologists, a social worker, a member of the spiritual care team, a physician and resident from orthopedics, a fellow from the Pediatric Intensive Care Unit (PICU), and the TTL. 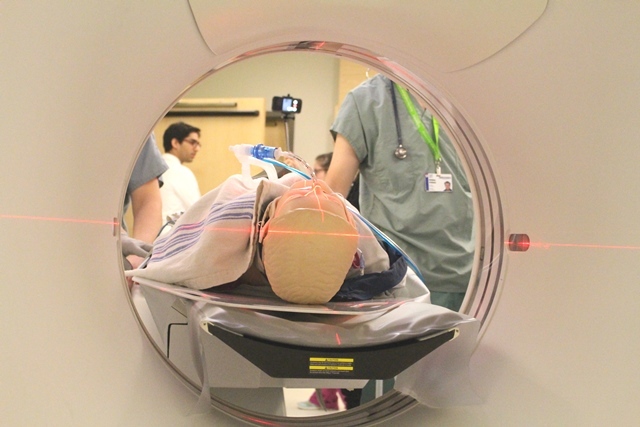 Once the patient was stabilized, he was brought from the ED to CT for a scan where the decision was made to transfer the patient to the Interventional Radiology department for management of an arterial bleed, and finally up to the Pediatric Intensive Care Unit, where the PICU team took over his care. The ultimate goal of the simulation is to improve patient care. Dr. Bank’s exercise is meant to mimic real life as much as possible by involving members of the various disciplines who would normally participate in this type of trauma case. The idea is to practice effective communication and give the professionals a chance to learn about each other’s expertise, their role within a department, and their way of working. 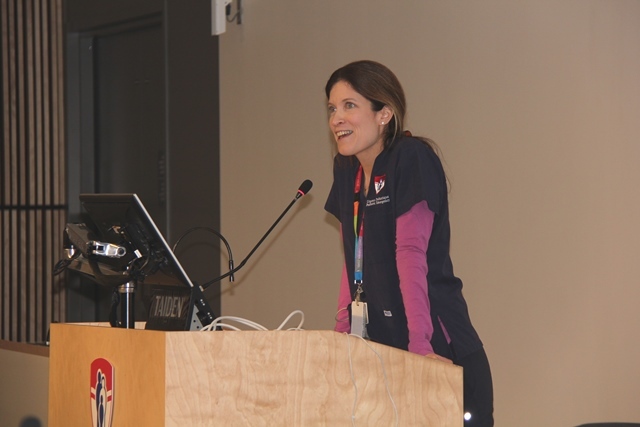 “This is an opportunity to share the mental model and practice the transfer of care so that it can be as seamless as possible when it comes to a real-life situation.” says Dr. Bank. The entire simulation and subsequent debriefing was recorded, annotated and shared with the group, so that areas of success and areas needing improvement are reviewed by everyone who took part.